Yet another Silicon Valley executive has lost his job following sexual harassment allegations. 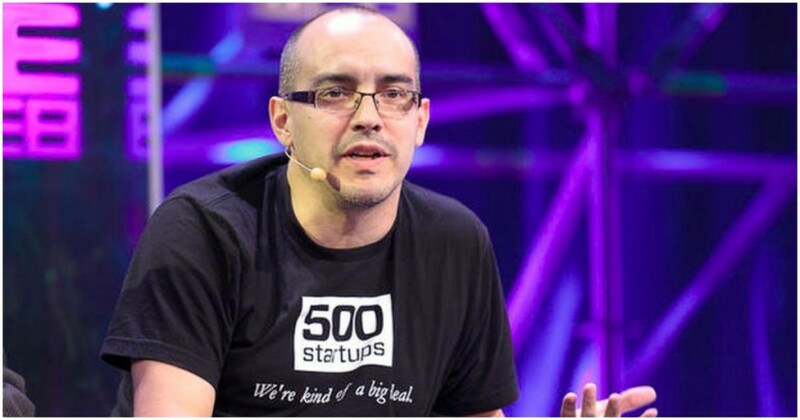 Dave McClure, the founder of 500 Startups, has been removed from the day-to-day operations of the incubator after a female founder accused him of improper behavior. This was announced by Managing Partner Christine Tsai after a New York Times story which detailed the accusations. “In recent months, we found out that my co-founder Dave McClure had inappropriate interactions with women in the tech community. His behavior was unacceptable and not reflective of 500’s culture and values. I sincerely apologize for the choices he made and the pain and stress they’ve caused people,” Tsai wrote. In 2014, Sarah Kunst, 31, an entrepreneur, said she discussed a potential job at 500 Startups. During the recruiting process, McClure had allegedly sent her a Facebook message that read in part, “I was getting confused figuring out whether to hire you or hit on you.” She says she declined McClure’s advances, and was ultimately not offered a job. When he discussed the Facebook message with one of McClure’s colleagues, she says 500 Startups ended conversations with her. Dave McClure has since written an apologetic blogpost titled “I’m a Creep. I’m sorry.” “By now you may have heard I fucked up, and people are calling me a creep. While I’d like to believe that I’m not a bad or evil person, regardless it’s clear that some of my past actions have hurt or offended several women. And I probably deserve to be called a creep,” he says. He goes on to say that it wasn’t the isolated incident with Sarah Kunst, but with several other women. “I made advances towards multiple women in work-related situations, where it was clearly inappropriate. I put people in compromising and inappropriate situations, and I selfishly took advantage of those situations where I should have known better. My behavior was inexcusable and wrong,” he says. McClure is known to have a colourful personality, having famously gone on an invective-filled rant while on stage after Hillary Clinton lost the American Presidential election to Donald Trump. McClure had thrown a bottle off the stage, and repeatedly used the f word while insisting the American election had been “stolen”. 500 Startups also invests actively in India. The incubator has invested between $10-$15 million across 56 Indian startups, including CultureAlley, Innovaccer, KartRocket and StalkBuyLove. Its most successful Indian investment was perhaps ZipDial, which was acquired by Twitter in 2015. Last year, it had announced an India-focussed fund called 500 Kulfi, but it never took off.